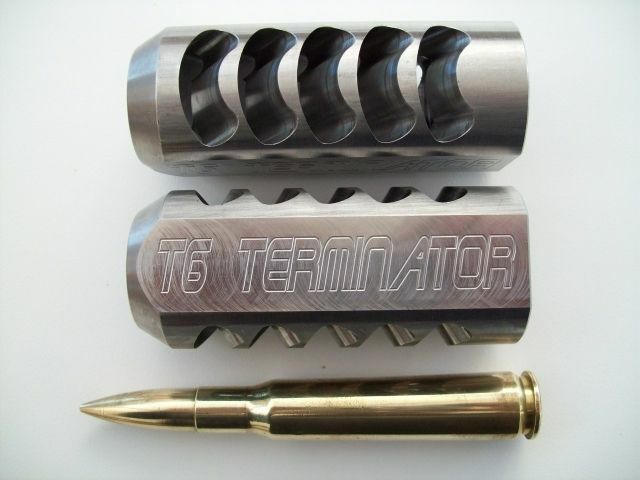 So here it is finally, the T6 Terminator muzzle brake, it has taken ages sorry, for the delays. Built for the big cases 50 BMG, 416 Barrett, 460 Steyr, 375 VM etc. 45mm diameter, 38mm across the flats, 1" x 14 is the standard thread. Spanners and Terminator like this.